Wells Fargo will stop setting the sales goals that bank employees say led to pressure to open millions of fake customer accounts. The embattled bank says the change, announced early Tuesday, will be effective Jan. 1. "We are eliminating product sales goals because we want to make certain our customers have full confidence that our retail bankers are always focused on the best interests of customers," CEO John Stumpf said in a statement. The bank last week agreed to pay a $185 million fine and refund $5 million in fees wrongly charged to customers. It also fired 5,300 employees who had opened false accounts to meet the sales goals. Employees have told CNNMoney they were under pressure to meet unrealistic goals or lose their jobs. Stumpf's statement made no direct mention of the more than 2 million bogus accounts revealed by the Consumer Financial Protection Bureau last week. The statement said only that the bank in recent years has "significantly strengthened our training programs, controls and oversight." "We believe this decision is both good for our customers and good for our business," Stumpf said. 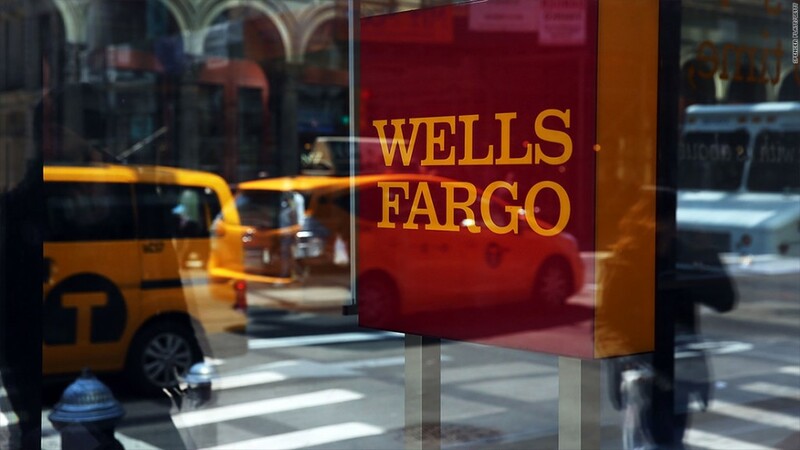 Scrapping sales targets is a dramatic shift considering Wells Fargo had set an internal goal of selling at least eight financial products -- checking accounts or debit cards, for example -- per customer. Wells Fargo even had a name for this objective, calling it the "Gr-eight initiative." "The sales pressure from management was unbearable," Sabrina Bertrand, who worked as a licensed personal banker for Wells Fargo in Houston in 2013, told CNNMoney. A pressure cooker environment is also described in a lawsuit filed by the city of Los Angeles against Wells Fargo in 2015. District managers discussed daily sales for each bank and employee four times a day, at 11 a.m., 1 p.m., 3 p.m. and 5 p.m., the lawsuit said. Senate Democrats want Stumpf to testify before Congress about the scandal, which Senator Elizabeth Warren has called a "staggering fraud." Even U.S. Treasury Secretary Jack Lew weighed in on the Wells Fargo scandal, calling it a "wake-up call." "This is unacceptable behavior -- and it's the kind of behavior we need to be able to catch and stop," Lew said on Tuesday at the Delivering Alpha conference in New York. Shares of Wells Fargo (WFC) dropped 3% on Tuesday amid a broad market selloff. The bank's stock is down about 5% since news of the settlement broke last week. Jaret Seiberg, an analyst who covers the bank at Cowen and Company, warned in a report Tuesday that Wells Fargo's recent troubles probably mark the end of the bank's "special status" as a "mega bank that was really just a regional bank." He added that Wells Fargo's headaches are also "quickly becoming a political problem" for big banks in general, providing critics "more ammunition to argue that mega banks are unmanageable."